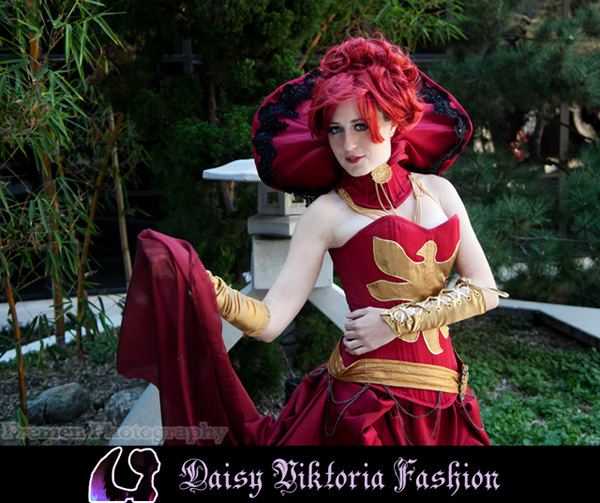 I designed this costume as a steampunk / Victorian fantasy version of Dark Phoenix from X-Men. The corset and collar are rigid, while the skirt incorporates flowing and bustled elements. The stockings, gloves, and boot covers were also made by me.